RUSH: You know, I got to thinking about it. I say so much, the amount of content disseminated every hour on this program, it’s even tough for me to remember it all. You know, I’ll say something on X day, and two weeks later, a story will happen, and I will remember I predicted it, and I wonder how many of you in the audience remember. I’ll never know. I assume many of you do because I assume you listen very closely and very carefully, but, at the same time, I realize that it’s impossible to remember everything anybody says. Ask your wife or husband about that. But we plod on, folks. We plug away. In fact, momentarily I’m gonna take you back to 2013 and even sooner. 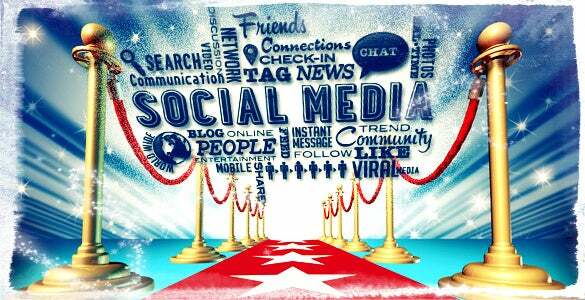 A major point that I made about social media has now been echoed by social media founder Sean Parker. So when Sean Parker said what he said yesterday, I wondered how many people remember I predicted this very thing. I worried about the same thing he’s admitting to now. I wonder how many did. And that’s why I go back in time to the Grooveyard of Forgotten Sound Bites to remind you, because it’s difficult to remember everything you hear, much less everything you read. RUSH: Sean Parker. Do you know who Sean Parker is? Does his name ring a bell? 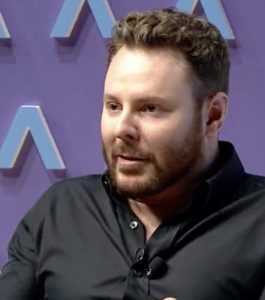 Sean Parker, Napster. Napster was eventually shut down. It was a site where you could basically download any song you wanted without paying for it. This naturally upset the music industry. But Sean Parker became a hero. He was offering Millennials and young people things for nothing! They loved him. And he was instrumental in the founding of Facebook. Mark Zuckerberg sought out Sean Parker and his advice on various things, and Sean Parker was one of the founding members of Facebook, until he wasn’t, ’til he decided to quit, for a host of reasons. And now Sean Parker, who has always had his hands and feet in innovative tech, has now started something new in his life about discovering, diagnosing cancer and autoimmune diseases as well. But he has now come out and has openly criticized Facebook and other social media, saying God knows what it is doing to our children. God knows. And he said: We knew that it was manipulative. We knew that people using it were vulnerable. We knew that we were devising little psychological ploys to keep people watching and reading and clicking and logging in. We knew exactly what we were doing to people to create this massive audience that never left us. And now he has seen the light and understands how destructive, potentially so, all of this is. And let’s go audio sound bite number 2. Axios founder and executive editor Mike Allen talked to Sean Parker. They’re talking about the early days and development of social media, which, in Sean Parker’s case, was Facebook. PARKER: How do we consume as much of your time and conscious attention as possible? And that means that we need to sort of give you a little dopamine hit every once in a while because someone liked or commented on a photo or a post or whatever. It’s a social validation feedback loop. You’re exploiting a vulnerability in human psychology. The inventors, creators, you know, it’s me, it’s Mark, it’s all of these people, understood this consciously, and we did it anyway. It literally changes your relationship with society, with each other, with — you know, it probably interferes with productivity in weird ways. God only knows what it’s doing to our children’s brains. RUSH: They knew what this was doing. By the way, what he’s talking about here, the social validation feedback loop, the liking or commenting on a photo or a post and then exploiting a vulnerability in human psychology. They knew exactly what they were doing. What they were trading off or playing off of was that they know that everybody wants to be famous, that everybody wants to have meaning, and everybody wants to have a large audience. And they were giving people a way to pretend that they mattered, a way to pretend that they were important and big, a way to pretend that they had gobs and gobs of followers. They were exploiting people’s weaknesses. This is what I have always feared from this stuff. So I want to go back to 2013, May, on this program and re-listen to just one of the many episodes in which I detailed my concerns. RUSH ARCHIVE: One of the most dangerous things about all this is not just this quest for fame and the giving up of all privacy. Add to this that most kids are insecure, and then add another human characteristic, and it is this: The grass always looks greener. Everybody. I don’t care who you are, you always think everybody else is happier. Everybody else is more normal. Everybody else doesn’t have the problems you do. It’s just a natural thing to think. A lot of people think this way. And when you start reading social media or watching television shows and you see depictions of people in certain ways, and you know that that doesn’t in any way depict you? Then what does that make you feel like if you’re not emotionally secure? You’ve got this wild collection of insecurity and kids reading all this. In addition to the complex they could develop, because they think they’re missing out on all this cool stuff, that creates its own set of problems. Either depression or a madcap desire to catch up and experience all these things that they think are cool, that people really aren’t doing but they think they are. The sheer volume of all this stuff that they can expose themselves to could be overwhelming. I’ve always had a bad feeling about it. 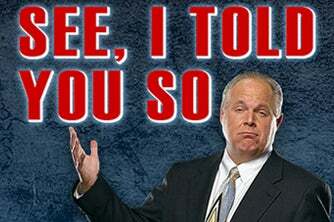 RUSH: I repeatedly warned — now, I realize I sit here and say “I warned.” Really all I was doing was expressing my concerns about it. And my concerns were for the effect all of this was gonna have on young people. Because everything is contained here that makes up — whatever your bad memories of high school are, for example, it’s all there, every day you’re reliving it on social media. The fact that everybody lies about how much fun they’re having, everybody lies about the things they’re doing, everybody lies about the places they’ve been, everybody exaggerates if they don’t lie. And so you’re looking at people post things and they look like they’re just having the greatest time, they’ve got all these friends, and their lives seem to be full from the moment they get up ’til they go to bed, and you look at yours, and what are you? You’re in your pajamas reading about all this. So you start lying because you’re feeling insecure and inferior. So you look for signs to make it look like you’ve got followers and you can be famous and you’re just as cool and just as hip. But the problem is that most people, not everybody, but most people are lying about themselves on these sites anyway. Most people do not have the full morning-to-night lives that they are depicting. They want to. Everybody does. Everybody wants to have that life where you get to do what you want to do, when you want to do it, where money isn’t an obstacle or a problem, and that everybody loves you and that you’re a big object of attention. Well, on social media, everybody is free to create that very profile of themselves. But it’s seldom anywhere near true of anybody. And so it creates this, as Sean Parker called it, he said this endless loop, a vulnerability in human psychology, little dopamine and little, you know, like or dislike or love photos or stories that you post. And it interferes with productivity, and he says God knows what it’s doing to our children’s brains. Now, he’s not talking about the fact that people are not experiencing life outside the rooms where their computers or their devices are. That’s a factor, too, but that’s not what he means, I don’t think, when he talks about God knows what it’s doing to our children’s brains. What he’s talking about is all of these images that people are concocting about everybody else that makes them fall short when comparing themselves. You look at some profile on Facebook or a series of them, and there’s pictures from a vacation spot in Hawaii, then there’s Nicaragua, there’s skiing wherever. “Man, this is so cool,” and you start lying on your own posts about things you’re doing. It creates unhealthy desires, unhealthy psychological — and then you add the quest for fame into this, and I have thought this was a recipe for, if not disaster, for a serious problem down the road of people not knowing what reality is. And not being able to judge reality and falling for all kinds of lies and come-ons. And I think we are seeing these kind of things much more exaggerated than it’s been in the past.